Click on Account > Update/Downgrade Resources. 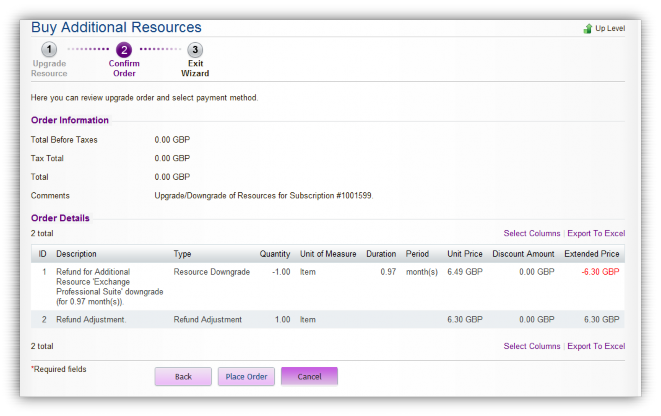 Tick the subscription you would like to modify and go to Next. Locate the resource you would like to downgrade and enter the number of resources you would like to keep. Press next where a confirmation screen will be displayed. If you are sure you would like to cancel the resources, click Place Order. The downgrade order has now been placed and will be processed. If any fees are due you will be contacted by our Finance department.